Until recently, I hadn’t realized how environmental racism operated and existed in Chicago and across the world. Last semester I took POS 343, a political science class about urban environmental justice. This class truly opened my eyes to the environmental injustices that occur locally, as well as in the Pacific Northwest. In my class, we took various field trips around Chicago to mostly low-income areas, which are plagued by toxic chemicals and waste that create long-term health issues for residents. Most of these “toxic tours” were on the Southwest and South Side of Chicago, along with parts of northwest Indiana. It was alarming to see these major sources of pollution so close to home. I’ve lived in the Chicagoland area my whole life and never knew about the harmful industries housed in this region. Environmental racism is one of the many ways low-income people of color are oppressed in our society. Essentially, this means low-income areas with majority people of color are targeted for the most harmful dumping of toxic products that cause major health problems for the people living around there. When upper and middle class people say “Not in my neighborhood,” the problem does not go away, it is just moved to a place where people have less political influence and are already marginalized. When upper and middle class people say “Not in my neighborhood,” the problem does not go away, it is just moved to a place where people have less political influence and are already marginalized. 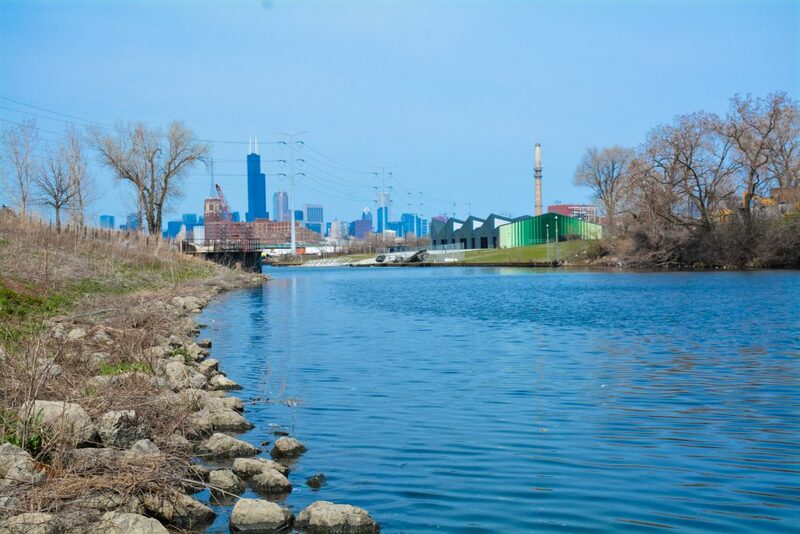 What this looks like in Chicago is the location of toxic waste and pollution being strategically put in areas where people will have a hard time fighting back. By targeting low-income communities with majority people of color living there, corporations are able to silence communities due to their already existing marginalization. Chicago neighborhoods such as Pilsen and Little Village have been fighting for clean air amid coal plants that heavily polluted the area for decades. On the Southeast Side and parts of Indiana, people are forced to live near oil refineries, pet-coke dumps and lead-poisoned soil. 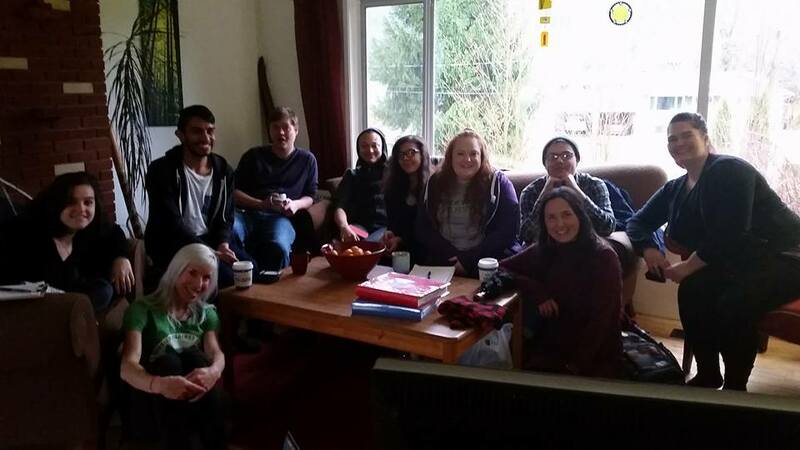 Our class meeting with an environmental activist at her house in the Vancouver area. In Vancouver and surrounding areas, this takes shape mostly in the form of fracking and pipelines that are used to exploit the natural land, and expand the profits and power of oil and other energy companies. Contrary to Chicago, environmental racism in British Columbia and most of Canada takes shape through the First Nations people, the native people of Canada. In Canada, unlike the U.S., First Nations typically have more political power and are seen as a sovereign nation. Although they hold political power and influence, it does not stop provincial and national governments from exploiting their land for corporate profit. When most people think of an “environmentalist” they think of a white, middle-class, highly educated professional who wants to “save the whales” or something of the like. Environmental justice is different in a lot of ways from traditional ideas of environmentalism. The environmental justice movement (or “EJ” for short) is an intersectional movement of people with various identities who want to end the structural forces behind issues of environmental injustice. This movement has an analysis of corporate power and political corruption as the root of many of the injustices we see. These groups are started and led by everyday people who have seen and been affected by the injustices in their community. The word “grassroots” in this context means lead from the ground up, in contrast to a corporate model that is very top-down. The good news is: in Chicago and the Pacific Northwest there are various groups fighting for the health and wellness of their own communities. They are up against some of the most powerful corporations in the world, corrupt politicians, and existing structures of capitalism and racism that keep people from feeling like their voice matters. But, grassroots environmental justice organizations win major victories through many useful tactics: educating their neighbors as well as the public, protesting and holding direct actions to pressure politicians and corporations to stop exploiting the land, and through coalition building with other environmental, economic, and racial justice organizations. 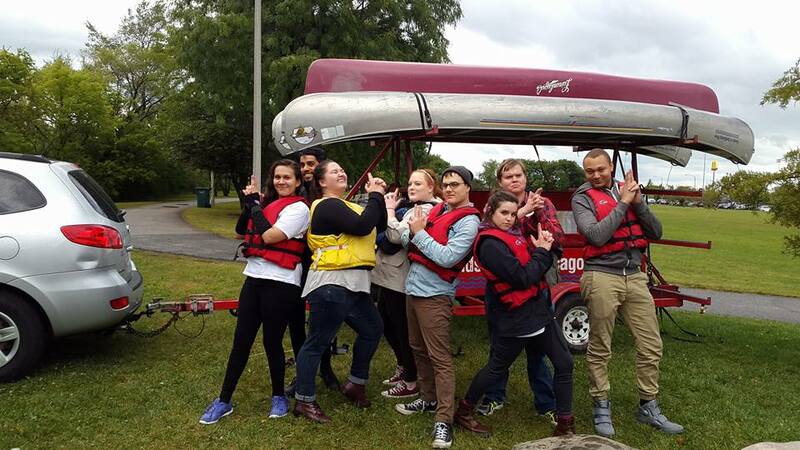 Our group with Friends of the Chicago River, a volunteer organization committed to revitalizing the Chicago River. People across the country are fighting for the well-being of their communities. We all want good jobs, safe air and water, and the right to a healthy life. In a time where people are denying the existence of climate change, we need to do more than argue the facts. We need to put it in terms of real people and real consequences. The business decisions made by major corporations across the world are killing people, and we need to change that. The urgency around environmental justice is growing with each passing day. What will you do to end environmental racism and destructive power of the fossil fuel industry? This topic gets very little attention and the reasons became very obvious after reading this article. Thanks to the author for enlightening us all on this issue. The good news is: in Chicago and the Pacific Northwest there are various groups fighting for the health and wellness of their own communities. This is the dumbest thing I have ever read.